Do you dream of whiter teeth but dread the yucky toxic load and the horrible tasting bleaching agents? Fear no more, we have a 100% natural solution to brighten your smile without disrupting your hormones!! 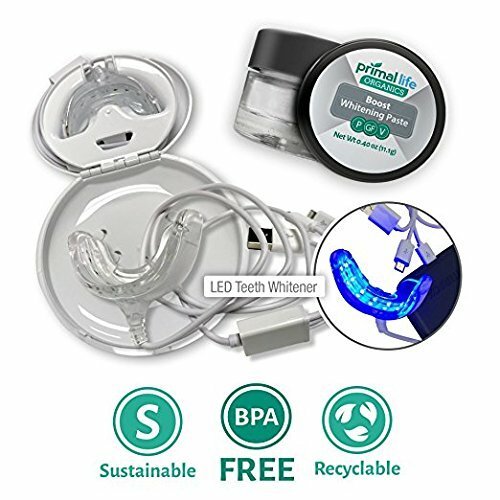 100% natural Boost Whitening Paste and the power of LED lights work together to whiten your teeth, increase mineral absorption, and kill the bacteria that are the prime cause of periodontal disease. 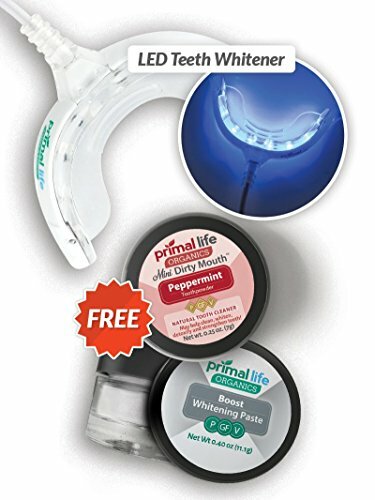 The Primal Life Organics LED Teeth Whitener uses LED blue light technology to naturally whiten your teeth and get you smiling more. 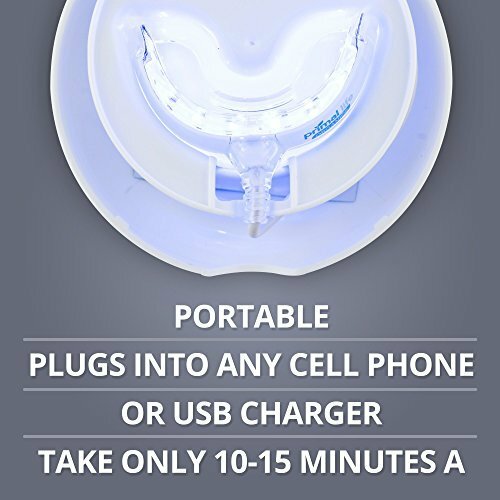 Better yet, it's simple to use, plugs into any cell phone or USB charger and take only 10-15 minutes a day! 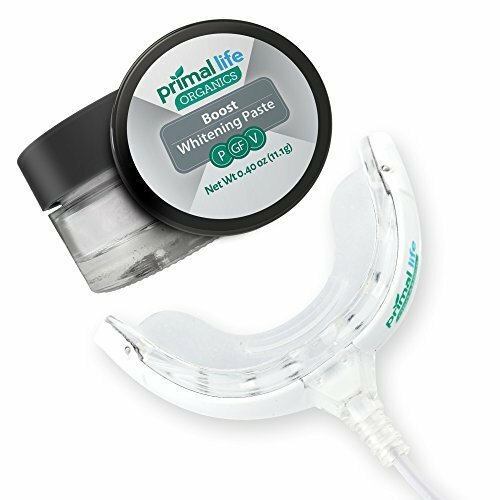 Our LED Teeth Whitener can be used alone- or amplify your results with our Boost Whitening Paste (100% natural ingredients and great taste)! BONUS: A FREE 30-treatment jar of Boost Whitening Paste will be included with every LED Teeth Whitener!! No nasty chemicals, toxins, bleaches or trays. 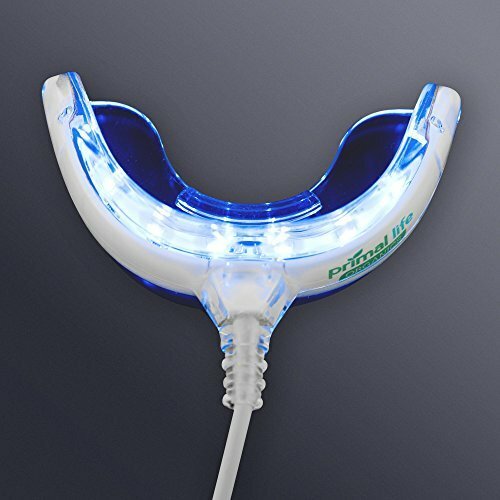 Simply apply Boost Whitening Paste to your teeth, insert LED Teeth Whitener, plug it into your phone, set your timer for 10-15 minutes and enjoy your blue light time-out! MESS FREE, compact with no additional trays. The unit IS the tray. Portable and ADAPTABLE. Plugs into ANY unit. Comes with 3 ADAPTERS for iPhone, Android and USB (compatible w/ 4G and newer). 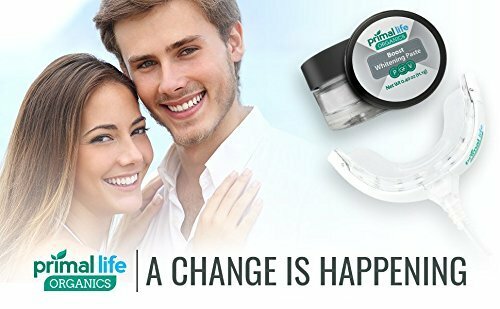 30 Day Supply 100% All Natural Whitener (No harsh Peroxide or Chemicals) - Great for Sensitive teeth.